Nursing home residents often have to rely on others for basic needs. Fortunately, many nursing homes realize this and do what they can to ensure the emotional and physical well-being of their residents. However, some do not, and, in fact, neglect their residents, allowing them to suffer injury and death. If this occurs, retaining the services of an attorney experienced in nursing home abuse may be necessary to ensure that the resident, and possibly, his/her family, obtain compensation for the injuries. Recently, an article detailing the unfortunate occurrence of nursing homes escaping government consequences for actions that led to the death or injury of their residents. It should be noted, however, that government consequences are mutually exclusive from personal injury lawsuits, and a discussion of nursing home abuse laws, as well as signs of nursing home neglect, especially in light of the government not holding nursing homes responsible, will follow below. The failure to uphold the duty was the cause of the loss, injury, death, or damage to the resident. It is important, also, to realize that the attention a resident receives when a visitor is present may be misleading. Obviously, to avoid an appearance of impropriety, nursing home staff will be on their best behavior when a family member visits a resident, and any neglect that occurs would take place when the family member is long gone. Thus, it is important to keep an eye out for these above signs. If discovered, nursing home neglect should be treated as an emergency. Nursing home neglect can cause a resident’s health to decline quickly, irreversibly, and may lead to death. And, finally, in light of the article cited at the beginning of this post, neither a resident nor a family member can rely upon the government to ensure that neglect is not occurring; rather, the family and resident must take it upon themselves to ensure that such neglect does not happen, not only for the family member, but for all other residents of the nursing home. If you or a loved one suffered an injury while resident at a nursing home, and feel that the nursing home neglected to treat the injury, or allowed it to fester, contact the experienced personal injury attorneys at Pita Weber Del Prado as soon as possible. 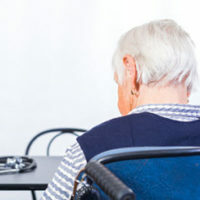 The attorneys at our office have years of experience in nursing home abuse, which, as discussed above, includes neglect on the part of the nursing home staff. We will work with you and/or your loved one to plan a strategy for receiving the compensation you deserve. Contact our Miami office today for a free initial consultation.